George Taylor has taught the Ten Practices to thousands of couples in his twenty-five year career as a Marriage and Family Therapist. He has had a long interest in create more love and awareness in relationships, including his own. The Ten Practices in the book teach you to: Solve specific Couples Problems: Distance, Fighting, and Poor Communication Create a Loving Regular Connection with your Partner Communicate More Openly and Vulnerably Turn Power Struggles into Opportunities for Creativity. George Taylor MFT has taught workshops and classes for couples since 1985. His joy in sessions and classes occurs when students and clients become more aware of their bad communication habits and childhood conditioning, and when they learn to create a deep authentic connection with their partner. In these precious moments, love and happiness fill the room. George has been working on developing these same relationship skills with Debra his wife of thirty-five years, who teaches at the Spirit Rock Meditation Center in Woodacre CA. He studied the path for couples intensively with Stephen and Ondrea Levine, and with Drs. Gay and Katie Hendricks. 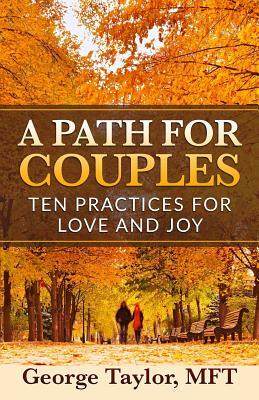 The practices in the book are demonstrated in teaching videos on www.pathforcouples.com, and you can also find there information about upcoming classes and events.